> Having at least second division or 2.5 CGPA in Bachelor’s degree in business administration, finance/economics or any stream of Management or equivalent from recognized University. > Fresher are encouraged to apply. 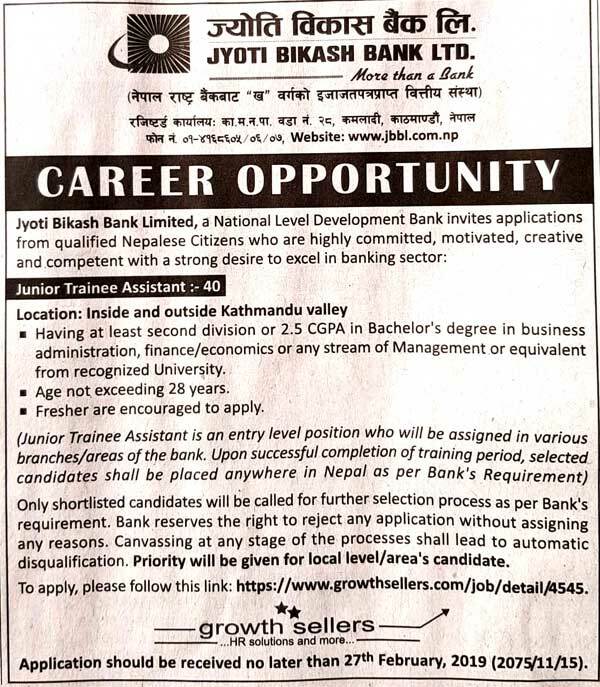 Only shortlisted candidates will be called for further selection process as per Bank’s requirement. Bank reserves the right to reject any application without assigning any reasons. Canvassing at any stage of the processes shall lead to automatic disqualification. Priority will be given for local level/ area’s candidate.